This post contains affiliate links. If you make a purchase, I will make a small commission. Thanks! Feeling neglected by her workaholic husband, forty-something gift basket maker Claire Hanover joins an aerobics class. In a moment of weakness, Claire agrees to let charming aerobics instructor Enrique come to her house to give her a massage. She realizes she has made a deadly mistake when Enrique is shot and killed in her bedroom and her husband Roger is arrested for the murder. Determined to clear Roger’s name and save her marriage, Claire sets out to find the real killer, encountering drug dealers, jealous ex-girlfriends, and angry cops along the way. Thanks to Beth Groundwater, I won this cozy mystery! I enjoyed reading about Claire Hanover’s fight for justice when her husband is accused of a crime she knows he could not commit. 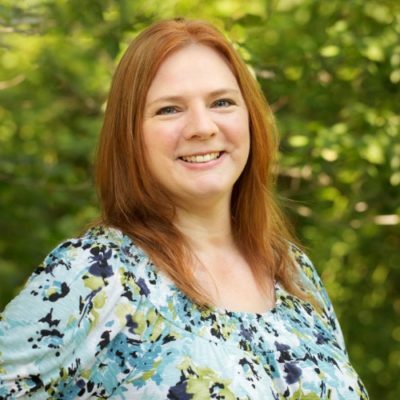 Claire is an empty nester who runs her own basket making business in her spare time. Her husband is so caught up in his job that he doesn’t notice that Claire is feeling a bit neglected. Claire’s friend Ellen convinces her that she needs a little fun and gets her to join an aerobics class. Unbeknownst to Claire, Ellen also thinks Claire needs a little “extra-curricular” excitement in her life. She sets up a massage appointment for Claire with the hot aerobics instructor, and everything goes downhill from there. (Don’t play with fire!) Shots ring out and the instructor ends up dead in Claire’s bedroom. Her husband is accused of his murder, and it is up to Clarie to clear his name since the police are convinced he is the killer. 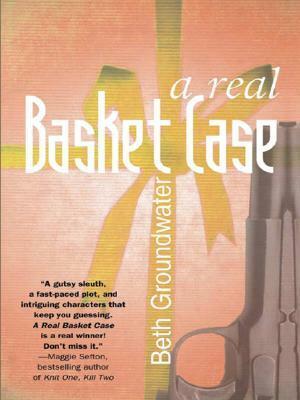 A Real Basket Case is a book filled with plot twists and humor. Claire has several humorous run-ins with drug-dealers and the police in this fast-paced novel. There were a couple of times when I really thought I knew who the killer was, but though I was close, I was surprised in the end. I’m looking forward to reading more of Beth’s novels and seeing what else Claire gets into. Disclaimer: This is PG-13ish in some spots.